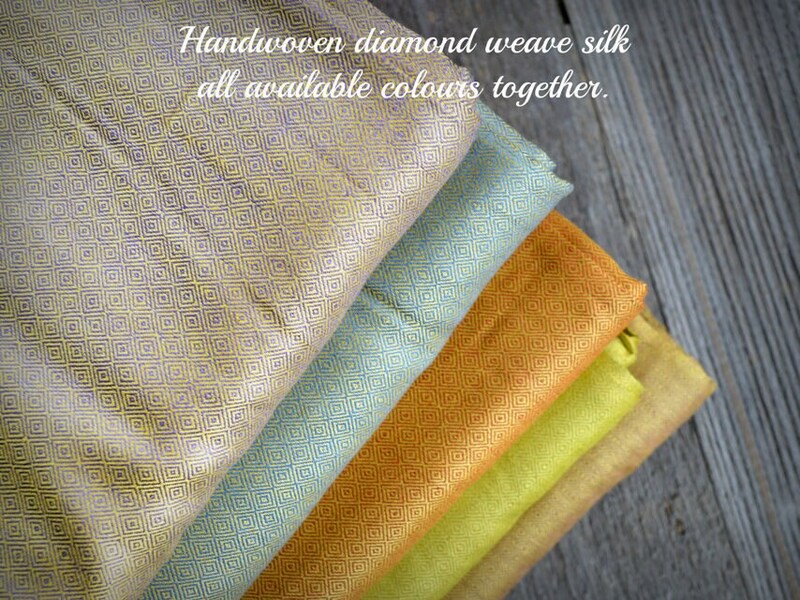 Gold and light green colour amazing handwoven 100% natural eri silk in small diamond weave. 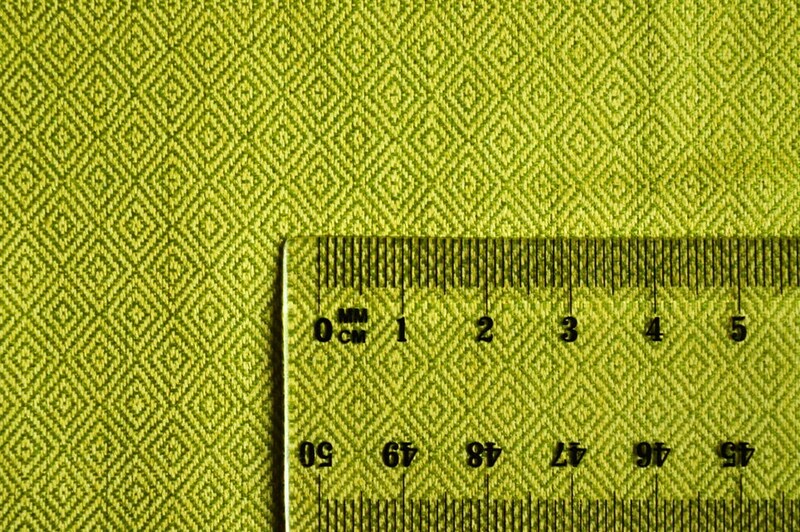 Perfect for trimming or for sewing whole costumes, as it is not stiff, it flows beautifully, is thin, yet it is not sheer at all. It will look beautifully paired with clothing in blue, green, pink, brown, purple and red. 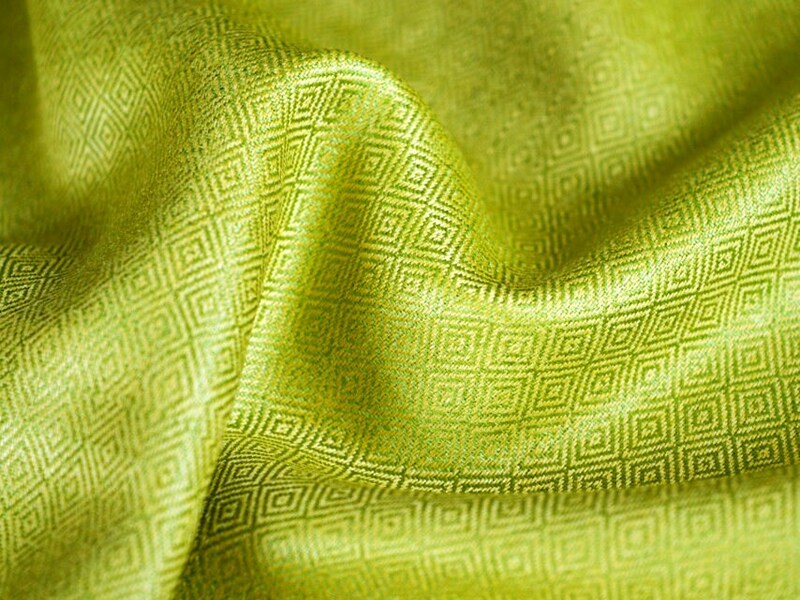 Colour : bright gold + light green. 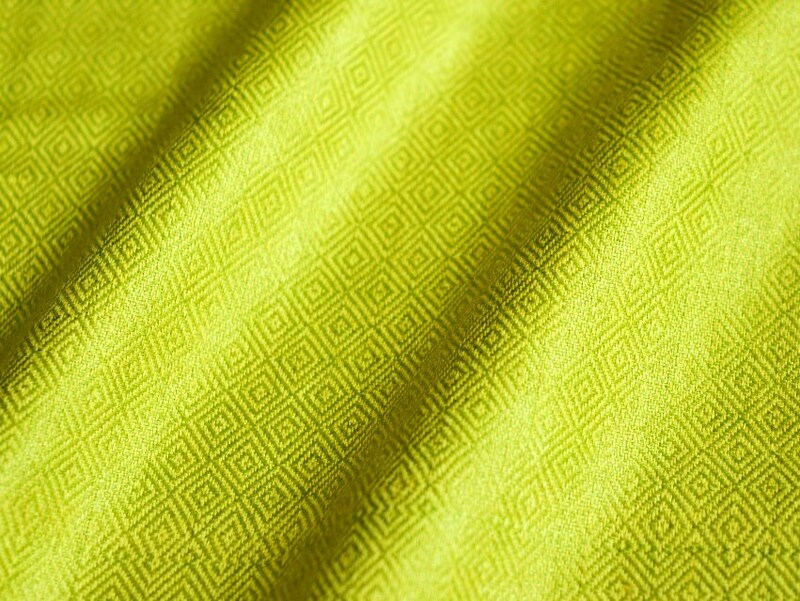 This colour combination gives overal lime colour effect. The contrast between gold and light green is subtle, not strong. Will finish my friends reenactment dresses beautifully.